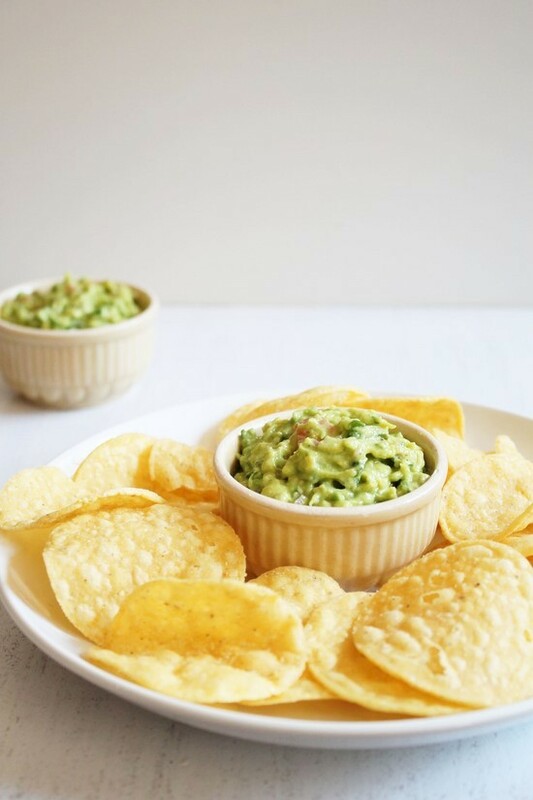 Guacamole recipe – It is Mexican dip recipe that is usually served with crispy tortilla chips. First time I tried it was when I came here in USA first time and we went to the Mexican restaurant. I really liked it and thought of making it at home. First I thought the recipe is not good and I looked for another recipe. During that search I read about the avocado and I came to know that It has to be ripe, soft to touch. So the next time I kept it on the countertop and let it ripe for few days, after I made again and it was just delicious and perfect. From then I made it many time. 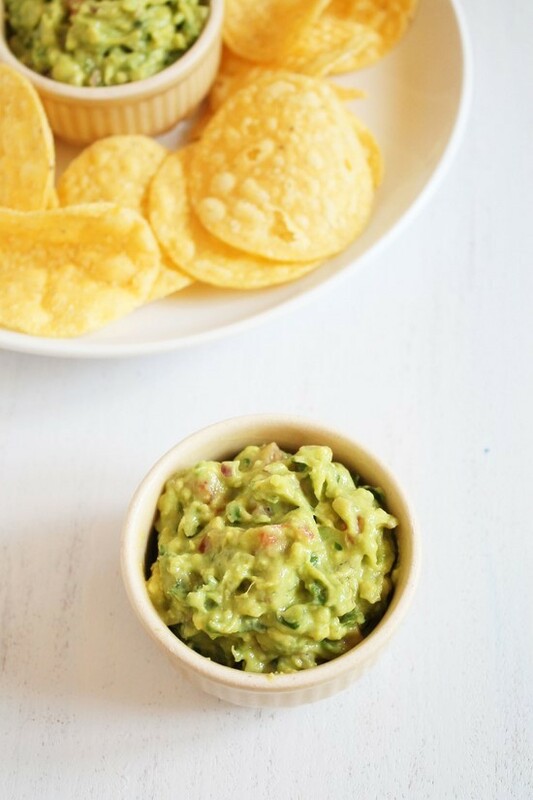 To make the perfect Guacamole recipe, always use ripe avocado. To check the ripeness, gently press the outside, it feels soft then it is good to use. If it is hard, it won’t taste good at all. If it is too soft then it is overripe, not good as well. So always check before making it. The good thing about the this recipe is that it takes only 10 minutes from chopping veggies to mixing together. And not forget, such a healthy dip compare to the one made from cheese. 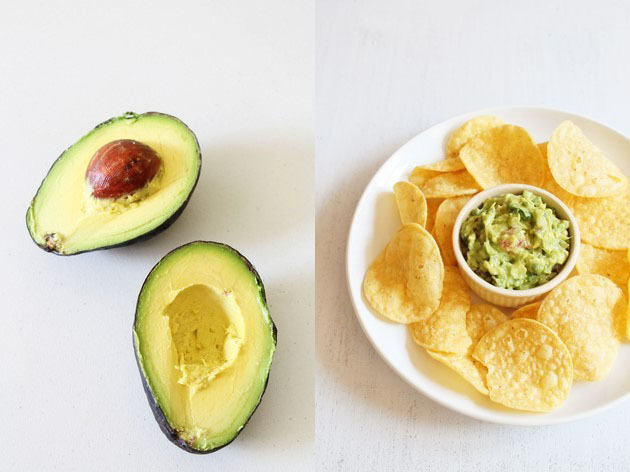 1) Cut the avocado in half, remove the seed. To scoop out the from the peel: using the knife, cut into pieces. 2) Now use the spoon to remove these avocado pieces. 3) Remove it to a bowl and do the same with another flash. 4) Using the fork, mash the avocado. Do not over mash it otherwise it becomes paste like. 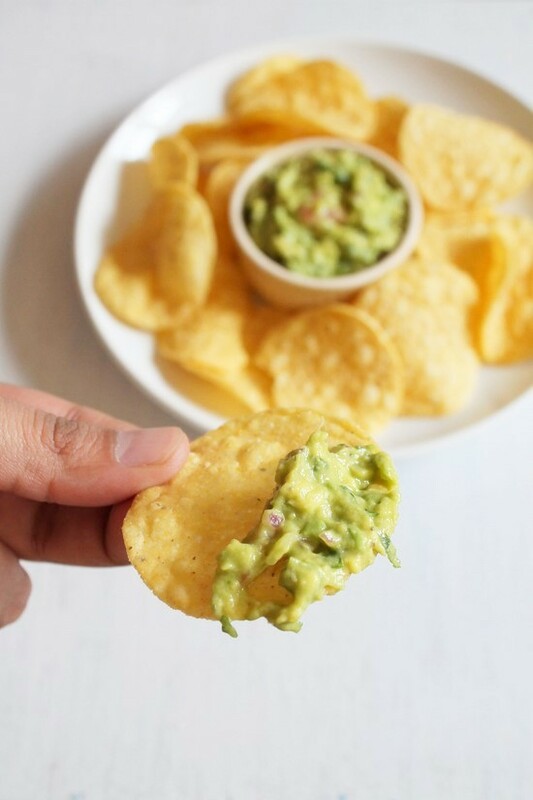 Guacamole should be little chunky. 5) Add salt, pepper, onion, tomato, cilantro and green chili. 7) Mix well. It is ready to serve. 8) Remove it to a bowl and serve or Cover it with plastic wrap, keep refrigerated until serving. Serving suggestion: Serve with some tortilla chips. Or use in the recipe like guacamole sandwich. Cut the avocado in half, remove the seed. To scoop out the from the peel: using the knife, cut into pieces. Now use the spoon to remove these avocado pieces. Remove it to a bowl and do the same with another flash. Using the fork, mash the avocado roughly and keep it chunky. Add salt, pepper, onion, tomato, cilantro and green chili. Add lemon juice. Mix well. It is ready to serve. 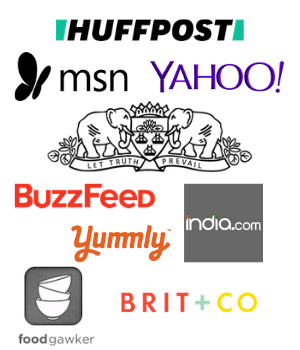 It will help your readers! Thanks Reema for sharing this wonderful info, it is really helpful to me. Also it will helpful to many readers. always in for guacamole, cant have mexican food without it. its been in to do list for long 😀 lovely clicks.